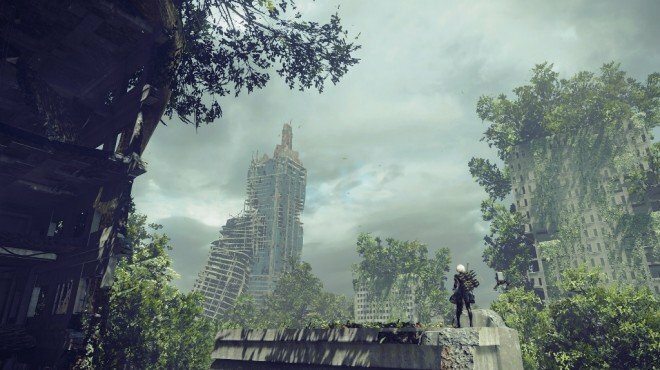 Mysterious Lithograph 3 is one of the information archives in Nier: Automata. Long ago, an aged man threw out his back after gazing upon a lizard in a jar. His young wife departed to call the doctor, only to vanish and never return. The surrounding villagers spread rumors of how she had fled, but the man paid them no heed, instead fiercely insisting that the lizard must be captured. Desert Zone - Locked Chest: Located by the YoRHa unit that is taking refuge from the sandstorm by the oasis in the far side of the map. Same location as Photographs. Anyone know what this eludes to, if anything? Is this a misinterpreted fable or literal interpretation of metaphor or..what?